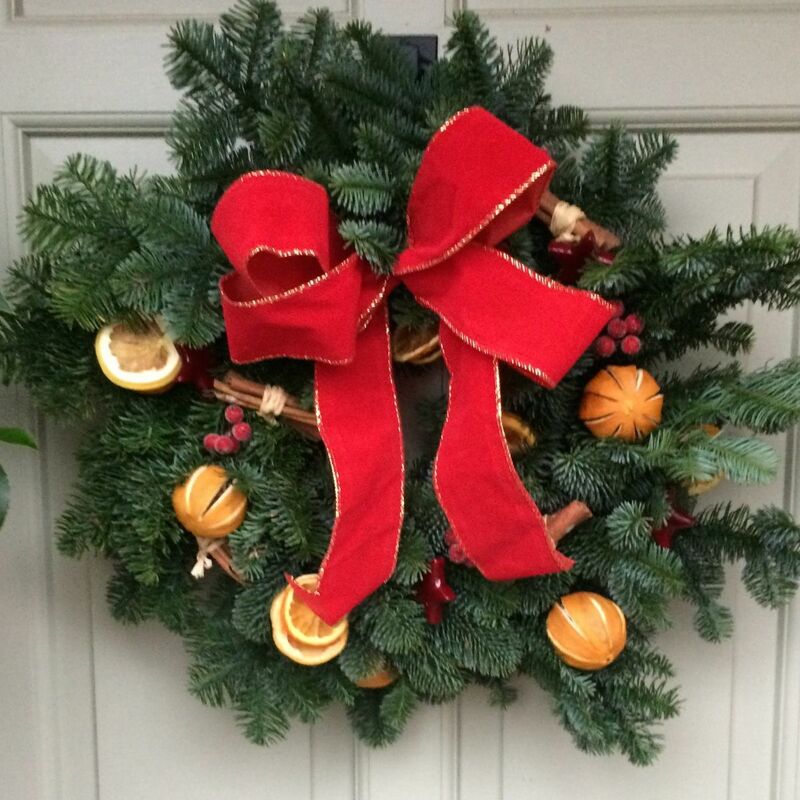 The Ed’s team is looking forward to another great training session at RHS Wisley this week. 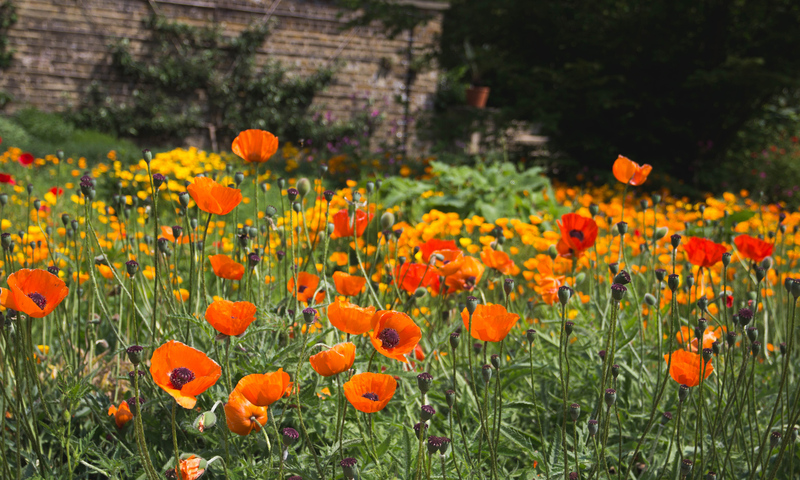 No matter the season, Wisley is always an inspirational place to visit and the quality of our Wisley training sessions is excellent, with access to the best expertise in the gardening sector. We try to organise our sessions to coincide with the change in seasons to give our Operators the very latest expertise to help them plan for their season ahead. Our Wisley sessions cover all things horticultural, with topics ranging from the latest in lawn technologies to planting techniques and a whole lot of others in between. We usually wind up with an open floor question and answer session. For the record, we STILL haven’t managed to come up with a gardening question that our expert can’t answer! We always schedule for an early start for Wisley but without fail we get a great turnout of bright-eyed and bushy-tailed Ed’s Operators. This ranges from our newest to our ten-year veteran Ed’s Operators, all fired up to develop their ever-growing gardening wisdom. The feedback we get is that all our Operators find the training sessions really beneficial and interesting. Before we leave, we are usually treated to a guided walk round the most interesting initiatives at Wisley, before their gates officially open. What better way for a gardener to start their day! 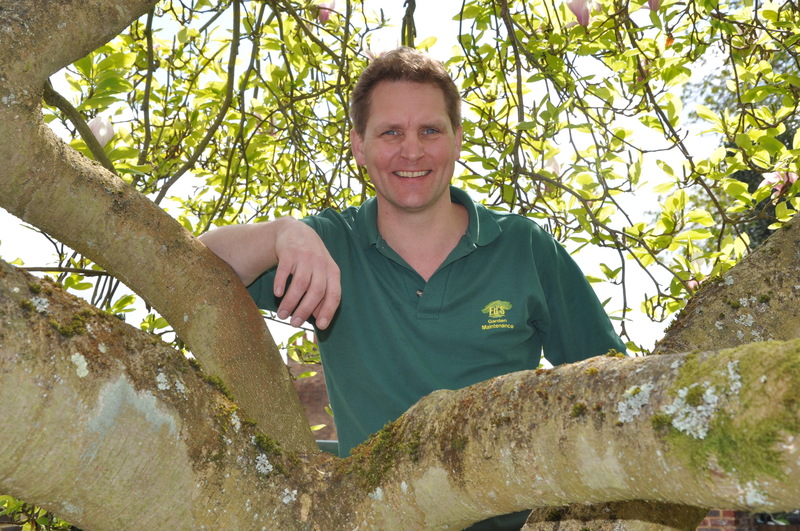 Ed’s Garden Maintenance is the largest UK garden maintenance franchise, with a network of 44 Operators. 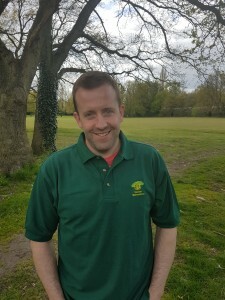 Ed’s is delighted to welcome Peter Dixon to our team of Business Operators. Peter has just signed up to buy Adrian Thomas’s established Ed’s business in Southampton. the established Operator moves on to retire or do something different having realised a good cash sum for their efforts. Ed’s gets a new Operator to replace the exiting Operator. We wish both Adrian and Peter all the very best with their future plans. The Ed’s team had a great training session at RHS Wisley today. We had a really good turnout of bright-eyed and bushy-tailed Ed’s Operators, all fired up to develop their ever-growing gardening wisdom. As always, our Ed’s expert on all things horticultural, led a brilliant session, covering topics ranging from the latest in lawn technologies to ladders and a whole lot of others in between. For the record, we STILL haven’t managed to come up with a gardening question that he can’t answer! We were delighted to welcome some of Ed’s most recent Operators to their first ever Wisley session. 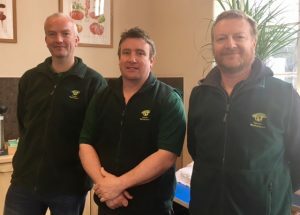 Neil Miller (Rustington), Haydn Jones (Southbourne) and John Spencer (Maidenhead) all joined Ed’s over the last few months and they have just finished their induction training and are rearing to get started with the gardening season ahead. And it’s not only our newer Operators who enjoy being back in the classroom listening to the pearls of wisdom. Our seasoned Operators enjoy the sessions just as much, always find out lots that they didn’t already know. 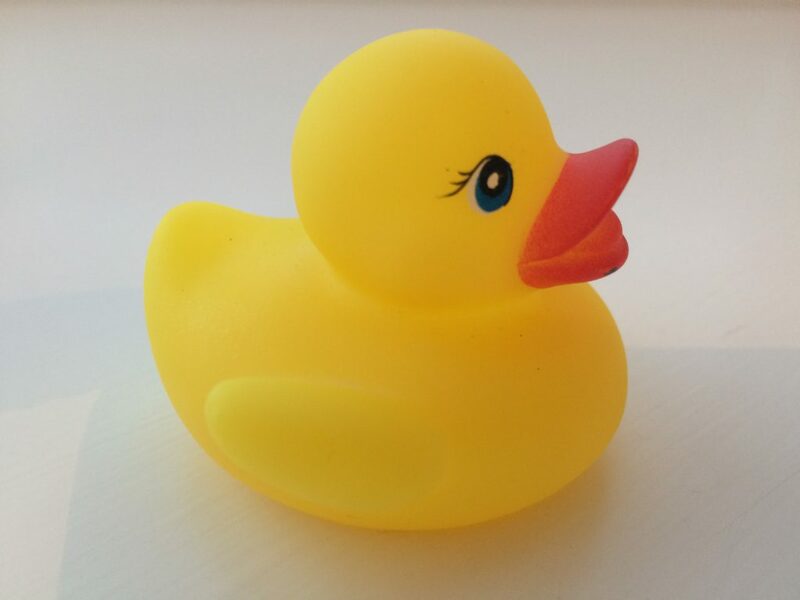 It may be winter but at Ed’s we’ve been really busy getting our ducks in a row for another successful year. In the New Year, we’ve been putting a lot of effort into Ed’s Operators’ business reviews and plans for the forthcoming year. This involves helping those who want, by reviewing how the previous year went for them and planning what to do next year to make things even better. We are delighted to say that Operators’ businesses have performed better than ever in the past year and a substantial number of our Operators are recording annual operating profits in excess of £30,000. What’s more, our star performers are earning significantly more than that and delivering new ‘personal bests’ in their profitability. As always, we’ve enjoyed getting together for business reviews (we are quite a sociable bunch!). However, most importantly, the result of all our efforts is that Operators have a clear understanding of where they are at with their businesses and are fired up to start the new season knowing exactly what they want to achieve in the coming year. We’ve got a really great team at Ed’s. When you put that together with a proven business model and strong training and support, you get quite exceptional results. No hype, no hidden catches just growing and sharing our success. If you would like to be part of our success story, do get in touch and grab your own piece of the action. To be honest, it has gone extremely well and has passed by in a flash. I knew I was joining for all the right reasons but still felt a little bit apprehensive before starting. I just wanted to be sure that I would get enough work. I kind of knew that it was unfounded as I could see how busy the other Ed’s Operators were but I guess I just wanted to hear the phone ringing! I honestly needn’t have worried! I have been so busy and have had loads of good enquiries. What’s more, the work has been really interesting and varied and I can honestly say that I have been having a great time. I have been so busy I even had to miss the last Ed’s group training session as I was so busy. In that instance, a lovely school I have been working with needed me in ahead of their important OFSTED inspection to make sure that everything looked great for the inspectors. Important stuff! “The Office is always there for me, as is my buddy, Neil, if I’ve got any questions which is a great reassurance too”. 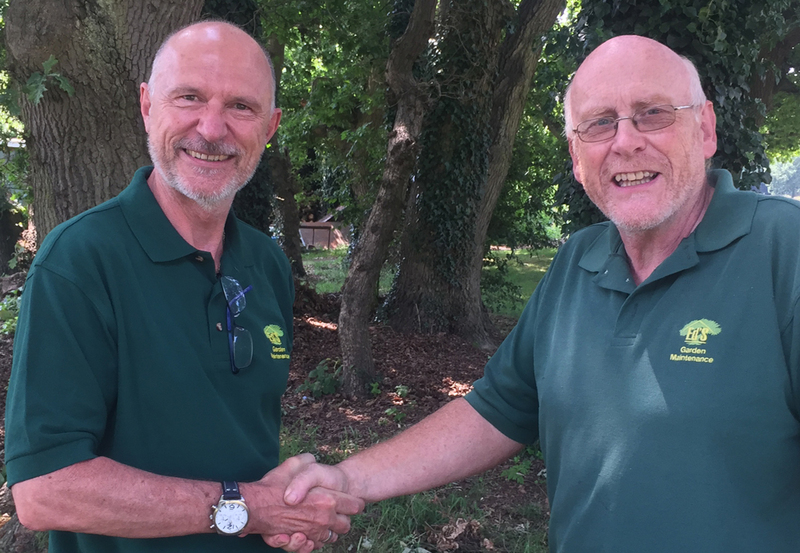 Edâ€™s is the UK garden maintenance franchise market leader with 37 Operators. 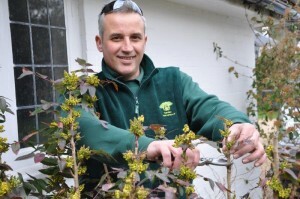 We are also the fastest growing UK garden maintenance franchise. Itâ€™s precisely the same principle when it comes to recruiting new franchisees. We are very clear about what we offer in our package and are completely ethical and transparent in our approach. We create no illusions and tell it exactly as it is. 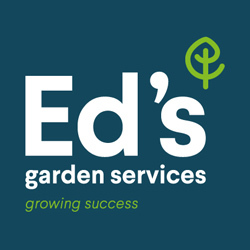 In Edâ€™s what we offer is purely the opportunity to run your own business delivering excellent gardening services whilst having fun, freedom and flexibility to shape things as you wish. We provide a great business model, which if followed properly, gets good results and we work closely with our business owners to support them to get it working right for them. We go the extra mile to support our Operators and they know that we are always there for them. The result is motivated Operators who feel that they have the best of both worlds as they have their own successful businesses but still feel secure as part of the Edâ€™s team. Thatâ€™s it, pure and simple. When someone is considering joining Edâ€™s, we do our best to portray life as an Edâ€™s Operator for exactly what it is. Itâ€™s not absolutely perfect 100% of the time (life never is) but it does tick a lot of boxes. We feel that by giving people the true picture, they are far more likely to make the right choice for them and, if they do decide to come on board, stay committed to being part of Edâ€™s. Itâ€™s one of the reasons we welcome potential franchisees going out on the road with established Operators and give them carte blanche to ask whatever they want. More importantly, we give our Operators carte blanche to tell them the whole truth – no script, no hype, just honesty. Training is another area where it is easy for franchisors to say they will deliver lots and in reality not do that much at all. 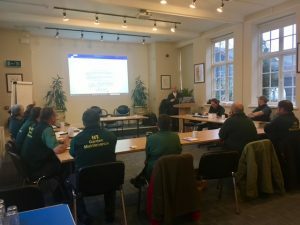 At Edâ€™s we value our Operators above all else and train and support them to make their garden maintenance businesses as successful as they can be. We donâ€™t just say that we are committed to training – we really are. Why wouldnâ€™t we be given that a successful Operator network is the key measure of the success of Edâ€™s? We offer excellent initial and ongoing training, bespoke business coaching and have a great buddying system which pairs up our new Operators with established ones. The investment fee we receive from new franchisees is not sent away somewhere to be stashed in our coffers â€“ indeed we invest a substantial part into the development of the franchisee. The investment fee funds the training and support that we consider to be critical to Operators realising their full potential. Finally we are full members of the British Franchise Association (bfa), which is the voluntary self-regulatory body for the UK franchise sector. 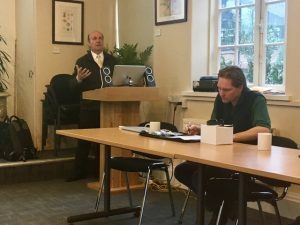 In a nutshell, the bfa promotes ethical franchising practice in the UK. In order to quality for this membership status, the bfa demands very exacting and stringent standards of business ethics and transparency of business practices. Many franchise businesses choose not to become members of the BFA but at Edâ€™s we welcome being held to account and having to conduct our business to these high ethical standards. Indeed, we wouldnâ€™t have it any other way. 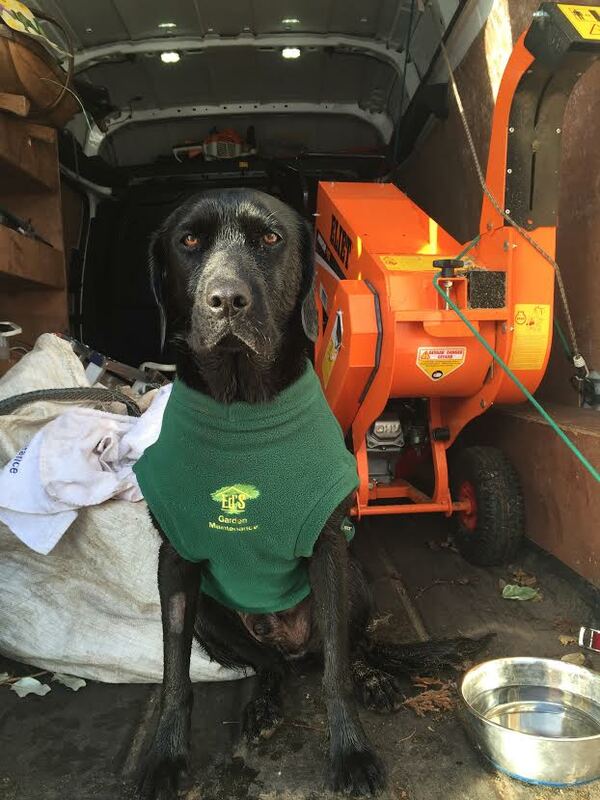 Ed’s Operator Stuart who covers the Fakenham, Norfolk area sent in this photograph of his dog Angus. They had just been for a lovely stormy walk on the beach and Angus is shown here keeping warm in the van! 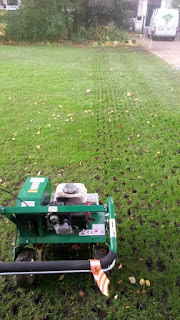 sent in an example of aerating a lawn for a customer. 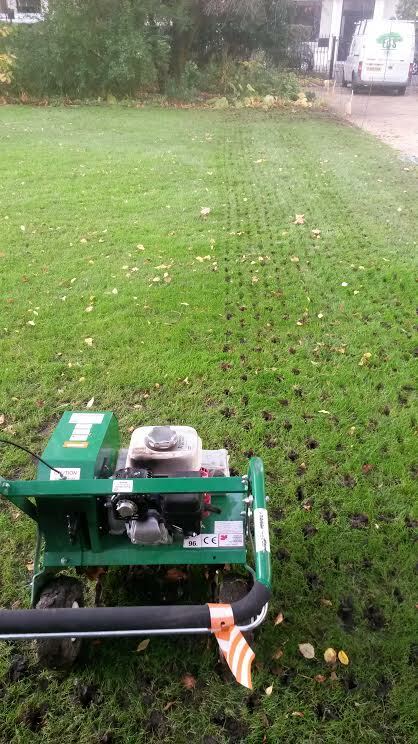 Aeration allows air, water and nutrients to penetrate the grass roots, the roots grow longer and therefore create a more vigorous lawn. This is particularly useful if the ground is quite compact. 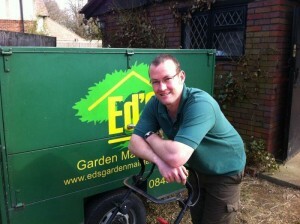 Please contact Ed’s Garden Maintenance for a free estimate for your garden maintenance needs. 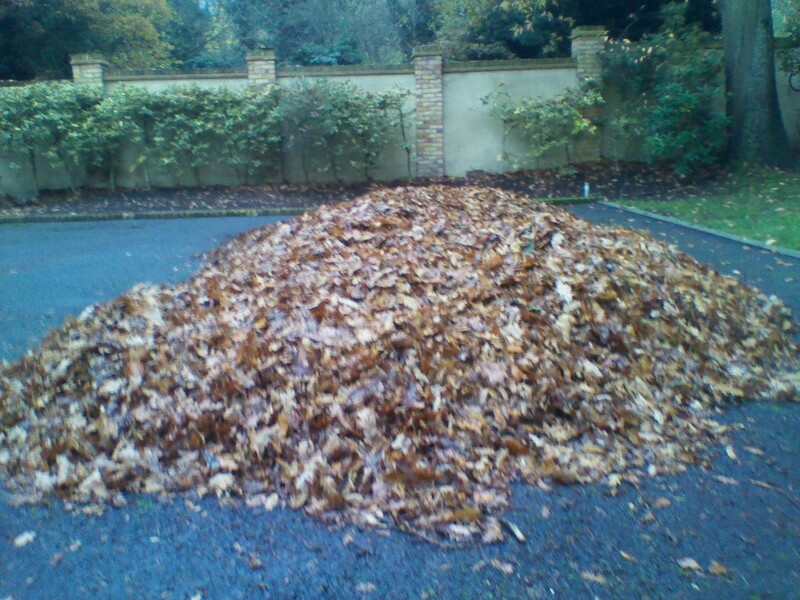 Ed’s Garden Maintenance Operators are busy clearing leaves at this time of year, please give us a call for a free estimate. 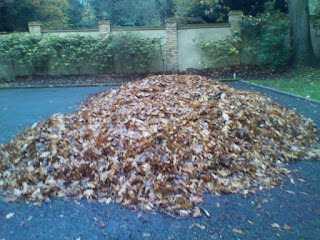 Clive who covers the Hampton area sent in this photograph.